Demonstrators hold banners during a meeting of Norwegian Prime Minister Erna Solberg with Brazilian President Michel Temer in Oslo on June 23rd, 2017. Brazilian President Michel Temer was greeted with protests when he arrived in Norway today for an official visit with Prime Minister Erna Solberg. Meanwhile, Norwegian government officials are warning Temer that his country risks losing millions in financial aid that Norway pays to Brazil to help rein in deforestation in the Amazon. Deforestation in the Brazilian Amazon from 2015 to 2016 jumped 29 percent over the previous year, the highest rate of loss recorded since 2008. Political efforts to weaken environmental regulations are largely seen as responsible for the increase, though dry conditions in the Amazon, the world&apos;s largest rainforest, and Brazil&apos;s foundering economy, which has devalued Brazil&apos;s currency and made agricultural exports more profitable, are also to blame. Temer himself proposed legislation that would scale back protections for blocks of forested land seen as highly desirable by the bancada ruralista, the rural lobby of agribusiness and mining interests who supported Temer&apos;s rise to power and the impeachment of his predecessor, President Dilma Rousseff, last year. 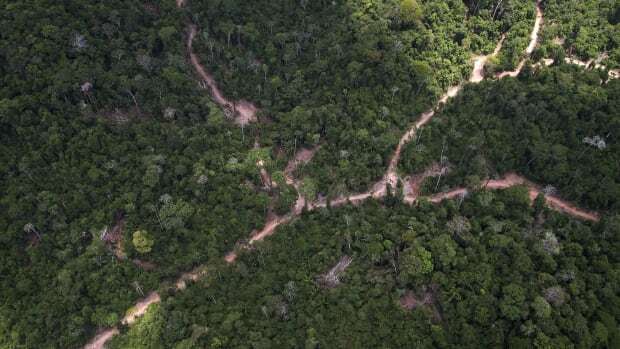 In a letter sent to Brazilian Minister of Environment Jose Sarney Filho, Norway&apos;s environment minister, Vidar Helgesen, noted the "worrying upward trend" in deforestation since 2015, according to reporters with Reuters who saw a copy of the letter. Norway has made annual contributions to Brazil—totaling $1.1 billion since 2008—to reward the South American country for its progress in slowing the deforestation rate in the Brazilian Amazon. 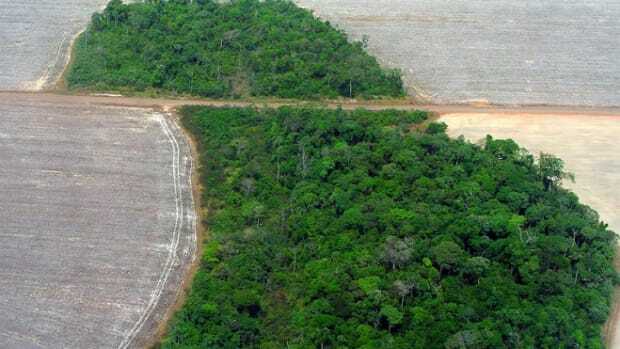 Because those payments are contingent on results, however, Helgesen warned in the letter that "even a fairly modest further increase (in deforestation) would take this number to zero," meaning no further payments from Norway to Brazil would be forthcoming. Data released by Brazil&apos;s National Space Research Institute last November showed that 7,989 square kilometers of Brazilian Amazon rainforest were destroyed between August of 2015 and July of 2016. According to Reuters, "under current benchmarks, a rise in annual Amazon deforestation rates to 8,500 square km or above will mean no annual payments from Norway, Norwegian officials say." A number of Norwegian environmental and rights-based organizations, including Greenpeace, Norwegian Church Aid, Norwegian Solidarity Committee for Latin America, and Rainforest Foundation Norway, say they are planning a protest in front of the prime minister&apos;s residence in Oslo on Friday to make it clear to Temer that they view his administration&apos;s policies as not only putting forests at risk, but also the very lives of indigenous peoples and human rights protectors in the country. Sônia Guajajara, an indigenous leader from Brazil with a group called the Articulation of the Indigenous People of Brazil, will be in Oslo to take part in the protest. She says that an ordinance passed by the Temer administration earlier this year that removed the power to demarcate indigenous lands from FUNAI, Brazil&apos;s National Indian Foundation, will harm indigenous communities. 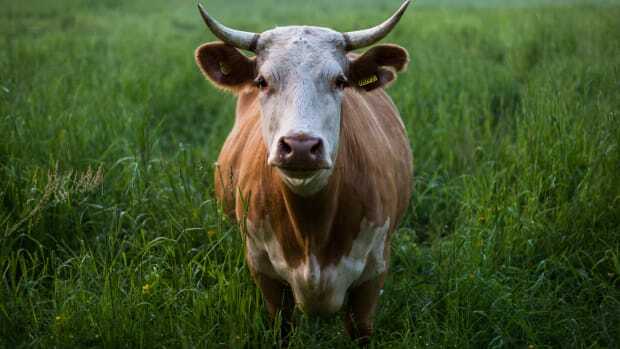 The bancada ruralista and large-scale landowners applauded the measure, while indigenous land rights activists said it would lead to more violence and decried the ordinance as unconstitutional. "Temer violates his obligations and undermines people&apos;s constitutional rights," Guajajara said in a statement. "His attacks on indigenous peoples and the environment are of a magnitude we have not seen before." Guajajara hopes that the protest will galvanize the international community, in particular Norway, to pressure Brazil to bring an end to persecution of activists and the destruction of rainforests. 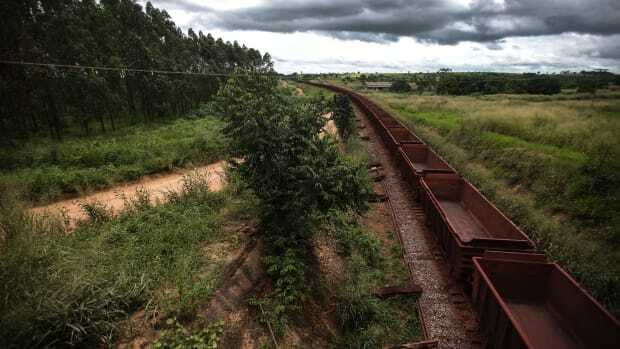 Land conflicts in the Amazonian region have escalated recently as illegal loggers and land thieves seek to drive indigenous communities and peasant families from their land, Sue Branford and Maurício Torres reported for Mongabay. Just this week, 80 families in the Brazilian state of Pará were ordered to vacate their land within the next two weeks so that members of the Vilela family, who are reported to be "notorious convicted land thieves, illegal forest fellers and members of the wealthy Brazilian rural elite," can assume ownership of the land. In addition to international aid from Norway, the rising deforestation rate in Brazil also jeopardizes the commitments to combat global warming made by the country as part of the Paris Agreement. 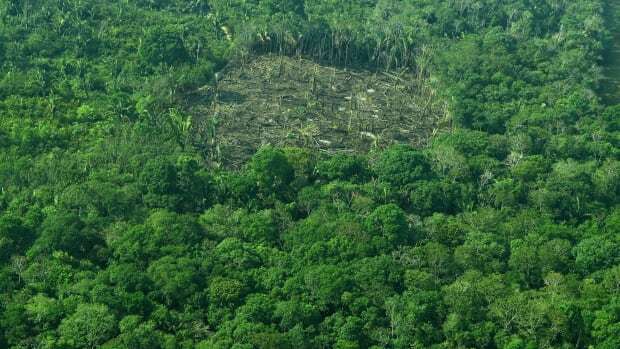 Tropical deforestation accounts for about 10 percent of global carbon emissions. 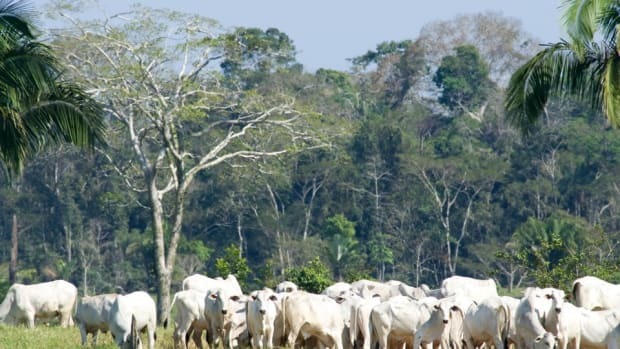 "Norway must demand that Brazil respect existing commitments made through international agreements and national legislation," Lars Løvold, director of Rainforest Foundation Norway, said in a statement. 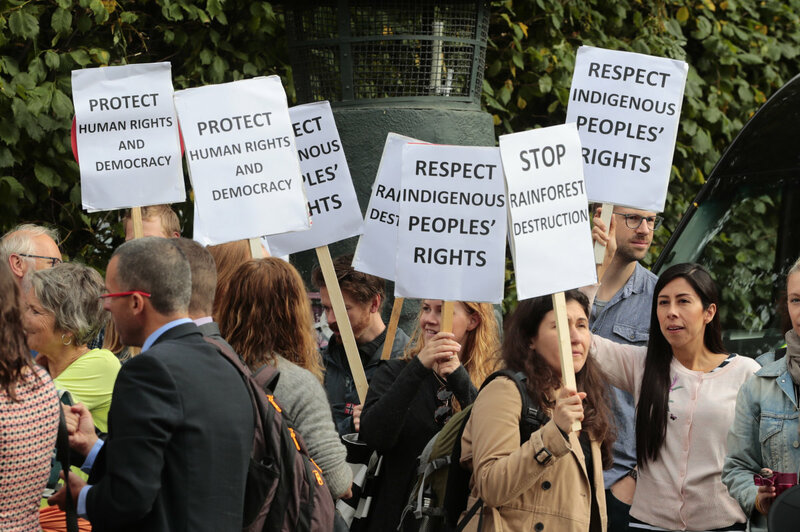 "When Prime Minister Solberg meets President Temer for breakfast on Friday, she must not mince her words in alerting him that Norway is forced to terminate support for the Amazon fund if Temer does not halt the attacks on the rainforest and its peoples." New research finds zero-deforestation pledges are effective, and buying zero-deforestation products helps. A new report finds that scientists described 381 new species of wildlife from the Amazon in peer-reviewed scientific journals between January of 2014 and December of 2015. Some, however, are already on the brink of extinction.